It has been almost a year since I have gone vegan. I do not regret my decision to leave animal proteins off my plate even a little bit! Not only am a healthier, going vegan has changed me both inside and out. As I have learned about the atrocities of animal agriculture on beautiful sentient beings and our environment, I know that my personal choice has a positive impact. I hope that this post will inspire a few of you to also make the decision to #GoVegan. Try it in January for #Veganuary! 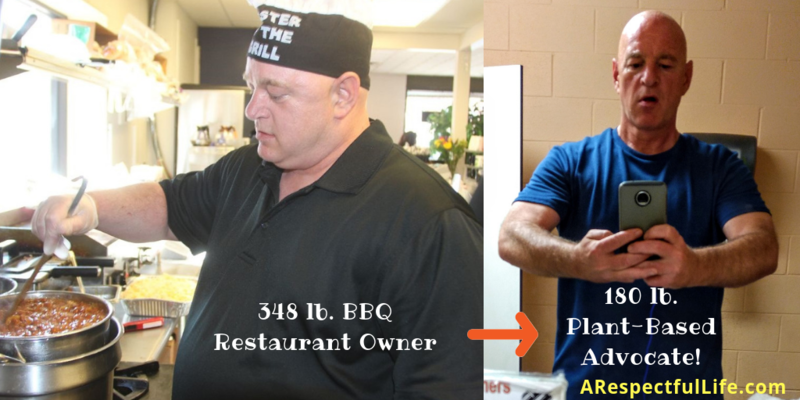 I was a BBQ restaurant owner and had gained a lot of weight over the course of 5 years. In Oct 2016, I was hospitalized with a multitude of health concerns. I was morbidly obese weighing almost 350 lbs. (158 kg), I had severe joint pain, gastrointestinal issues, elevated blood pressure, elevated cholesterol, severe edema, severe sleep apnea, and was pre-diabetic. After being released from the hospital, I ditched all medications (8 of them! ), followed a ‘vegetarian’ diet, and saw immediate results. I lost 80 lbs. (36 kg) in 3 months, and got rid of my edema and sleep apnea. I watched ‘Forks Over Knives’ in February 2017 and went completely vegan. Within 3 weeks of ditching dairy, my lifelong struggle of daily anxiety magically disappeared. In March 2017 I watched ‘What The Health’ and it has forever confirmed my commitment to veganism and a healthy lifestyle. I have now lost 141 lbs. (64kg), my blood work is excellent, and all of my health conditions have gone away! I started this blog in May to share my success story and help others achieve health through proper nutrition on a plant based lifestyle. 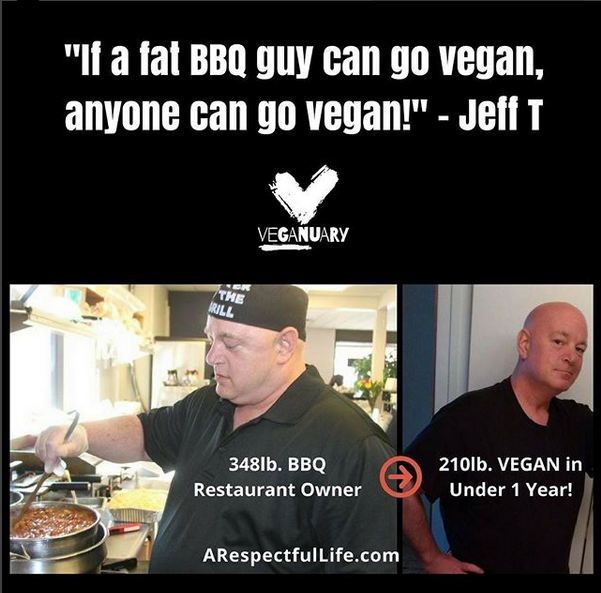 If a fat BBQ guy can go vegan, anyone can go vegan! If you want to try eating vegan, I would encourage you to do a little research and try to make it a bit easier on yourself. Meal planning is important, as is ensuring proper nutrition. It is easy to eat processed vegan junk food as their are tons of alternatives that have come on the market. Try some of them, but I would encourage you to stick with whole foods. A Whole Foods Plant Based diet is incredible and it will make you feel great! Veganuary website has an awesome starter kit! Vegan Recipes on this blog. 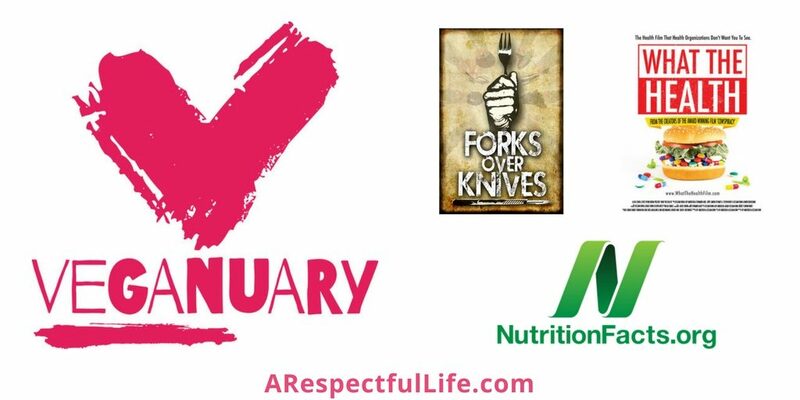 I would encourage you to watch ‘Forks Over Knives’ and ‘What The Health’. 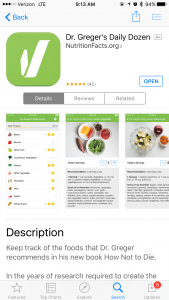 Download Dr. Michael Greger’s app called ‘Daily Dozen’! Available FREE on GooglePlay and iTunes! If a fat BBQ guy can go vegan, anyone can go vegan! If you have any questions or concerns, please feel free to reach out to me directly ctiexec @ gmail. One thing I want to reply to is that weightloss system fast can be achieved by the appropriate diet and exercise. Someone’s size not only affects the look, but also the actual quality of life. Self-esteem, depressive disorder, health risks, and also physical skills are disturbed in extra weight. It is possible to do everything right and still gain. Should this happen, a medical problem may be the primary cause. While an excessive amount food rather than enough exercise are usually at fault, common medical conditions and widely used prescriptions can certainly greatly amplify size. Many thanks for your post right here. This is very inspiring, thank you!